Or as low as $124.99 per month over 6 months. Apply Now. The wireless JL Audio MMR-10W remote controller system lets you enjoy high-tech, hand-held control of your JL Audio MediaMaster. It’s rugged, reliable, and expandable, so it’s a great choice for any boat. 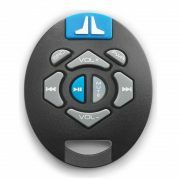 This key fob-style transmitter operates at an ultra-high frequency of 2.4 GHz, so you can control your music and your MM100s from up to 150 feet away. 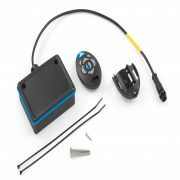 The sealed, water-resistant (IP67-rated) design floats, so it goes overboard, you have a chance to retrieve it. The large, raised buttons make it easy to control, though, so you should be okay. A verification LED is built into the transmitter, so you’ll get real-time, 2-way visual confirmation of broadcasted signals. The receiver module is compact and easy to install, and it connects directly to your MediaMaster. It’s programmable, too, and you can add up to ten extra transmitters (sold separately). 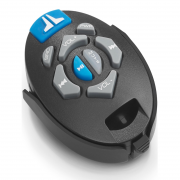 The receiver module is designed to connect directly to the 5-pin “Remote” plug of your MediaMaster MM100S. If space directly behind the MediaMaster MM100S is limited, you may use a JL Audio’s 6′ or 25′ wired remote extension cable (13699914/13699905; both sold separately) to extend the receiver module’s mounting options. The transmitter and the receiver module are both made with UV and salt-water rated materials, so they’ll stand up to the elements. A quick-release lanyard and mounting cradle are also included. The cradle can be installed on any flat surface or a tubular structure, such as a rail or a steering wheel. Remote Transmitter: The MMR-10W transmitter features a sealed, water-resistant (IP67 rated) design, that floats and large, raised buttons for easy, on-the-move access. The MMR-10W’s remote transmitter has been tested to withstand immersion in water, up to 1 meter (3.28′) deep, for up to 30 minutes. While designed to be water resistant, the remote should never be submerged under water for prolonged periods or subjected to activity that creates pressure on it that exceeds its depth rating. 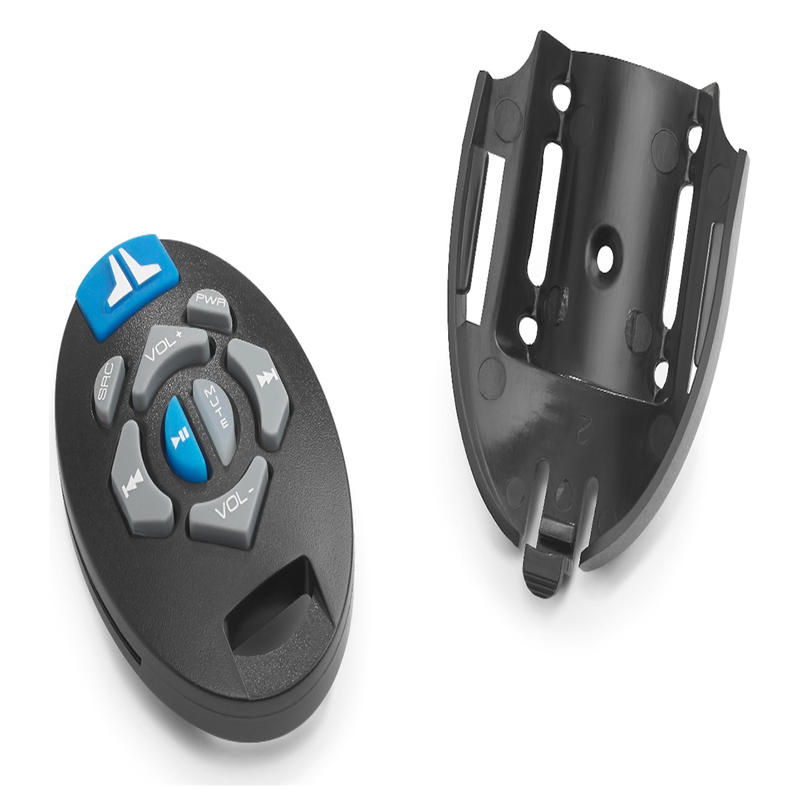 The remote transmitter includes a replaceable CR2032 3V battery.